有關普林斯頓大學的校史和發展，最具權威的研究成果是由史家James Axtell所撰，長達六百頁的 The Making of Princeton University: From Woodrow Wilson to the Present (Princeton University Press, 2006). ^ A Princeton Profile: Local Contributions. Princeton University. [2011-06-02]. （原始內容存檔於2013-05-14）. ^ Housing and Dining. Princeton University. [2011-06-20]. （原始內容存檔於2011-06-17）. ^ "The Nation's Largest Libraries: A Listing By Volumes Held: ALA Library Fact Sheet Number 22". American Library Association. [2009-01-08]. （原始內容存檔於2006-12-01）. ^ Davies, John. "Andrew Fleming West". A Princeton Companion. Princeton University Press. （原始內容存檔於2005-09-15）. ^ 顏子楠. 海外漢學 · 7 · 普林斯頓系統. ^ Princeton - Nobel Prize Winners. Princeton University. [2014-03-22]. （原始內容存檔於2014-02-25）. 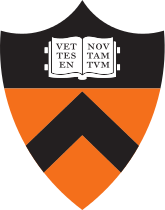 This list includes faculty and staff who were engaged by Princeton at the time they did the research that led to the award, who were employed by the University at the time of the award and those who are currently working at the University.